Finally got to meet up my dearest Shi Shiong 2 weeks back. Only managed to meet once ever since he came back from States for good and that was 6 months ago. For those who has been following my blog, you would know by now that I've known my Shi Shiong since IRC days. 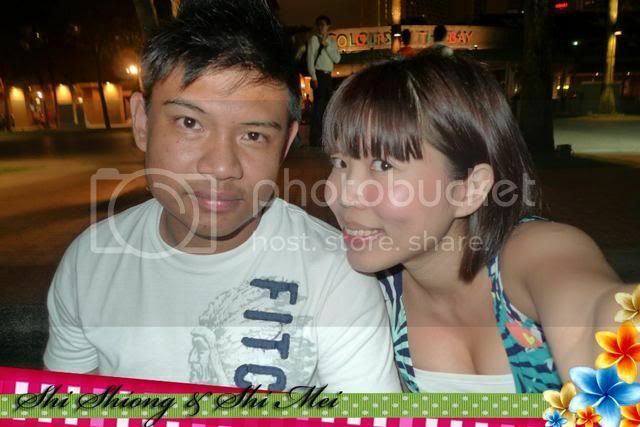 And till now, I still call him Shi Shiong and he calls me Shi Mei. Even his name in my mobile phone's contact list says Shi Shiong. Anyway, we managed to meet up on 19 March 2010. Settled for dinner for Beppu at China Square. Was chatting about IRC days and those members in the group when we decided to give a Gavin a call. It's been years since we last saw Gavin and I didn't know if his number was still the same. Decided to dial his number and luckily, his number was in use and he answered the call. Was just trying my luck when I asked him if he wanted to meet us and he actually said yes!!! Headed down to Esplanade after Gavin came to meet us. Spent the rest of the night reminiscing about the past and catching up with each other. Can't believe it's almost 10 years since then. Still remember the IRC nicks of us and the rest of the group. Shi Shiong was muyi, I was rain, Gavin was moo moo, Joseph was langzi, Jeanne was evil_gal, Elaine was popger and Lynn was jean_er. And we still remember the first time we met each other. We actually organized a outing so that we could meet up with one and other. 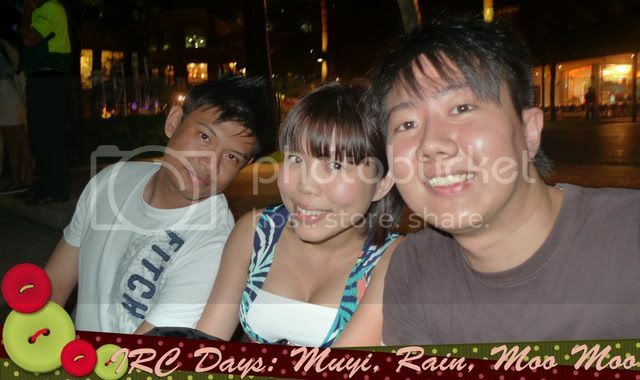 And it was at Marina South for steamboat dinner. With the exception of the 3 of us and Lynn, the rest are now happily married with kids. It's also been years since we last met up with the rest. Luckily there's still Facebook. Shi Shiong has decided to organized another gathering and this time with the rest of the gang!!! Can't wait for the day to come! All right, time to get back to work. Lots of work to clear before I go on leave. Another 2 more days and I will flying off to BKK with the Buddy for 4 days! Can't wait for Thursday! Elaine aka popger: YES I am reading your blog! and let me know the details for the gathering!! Popger!!!! Didn't realised that you are reading my blog!! :) I must let shi shiong know. As for the gathering, shi shiong is the one planning it, will inform everyone once he has got everything plan.